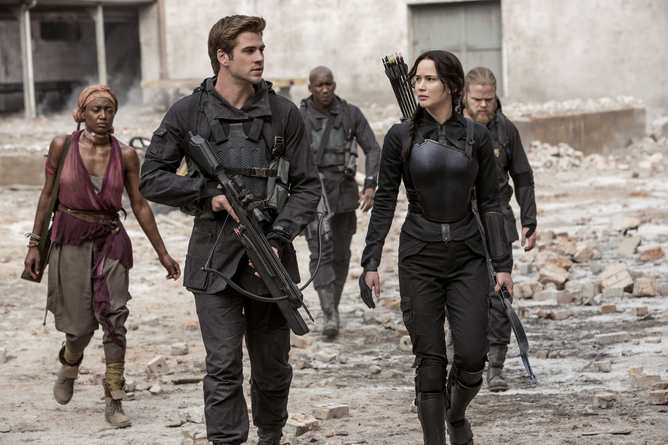 The latest Hunger Games film, Mockingjay – Part 1, is topping the international box office. Although it’s a Hollywood blockbuster aimed at young adults, it presents potentially quite subversive ideas of mass revolution, economic sabotage and the populist fight against oligarchy. Despite these heady sentiments, the film’s depiction of revolution is astonishingly simple, an adolescent vision of toppling an “evil” authority figure. Sure, this isn’t surprising as it’s meant for young adults, but in the context of political spillover this anti-authoritarian vision becomes more troubling. It reinforces prevailing Western ideas of social change – fastening on the idea that all one needs do is eradicate the enemy. And worryingly, it appears that this sort of adolescent rebellion isn’t just consigned to teenage entertainment, but also increasingly forms our real adult fantasies. 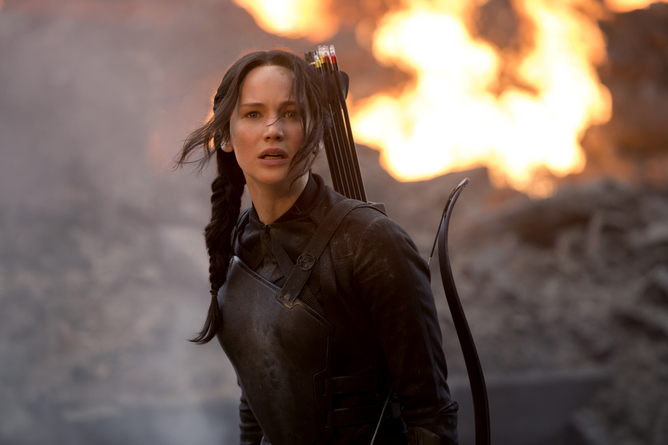 The third Hunger Games movie takes place in the midst of a full-scale popular rebellion. Unlike the previous films, which fix their attention mainly on the games themselves, this one focuses exclusively on the attempts of the resistance to inspire mass revolt among the oppressed districts against the wealthy capital and its nefarious President Snow. Within its melodrama of teenage romance lies a potentially fundamental critique of a status quo that bears much resemblance to our own times. The idea of a rich capital and its citizens exploiting workers in peripheral territories resonates with existing global divides between richer and poorer countries. It additionally speaks to growing economic insecurities associated with the growing powers of the market and exacerbated by the 2008 financial crisis. These films tap into the real anger of many, on both the left and right, who see a world emerging composed of the “haves” and “have not” ruled by a privileged elite and their police forces. The film’s fixation on overcoming the rule of a malevolent leader reflects an image of popular struggles as primarily defined by fighting those in authority. Ignored is the perhaps less dramatic but more important process of collectively transforming social conventions, power structures and identities. The Hunger Games undoubtedly portrays adult themes – yet ultimately it does so in a way that would appeal to its predominantly young audience. The main character Katniss’s valiant struggle against President Snow and latent distrust of those authority figures supposedly on her side all speak to teenage desires to heroically rebel against those who wield power over them. This “us-versus-them” paradigm is, of course, completely understandable in the context of children’s entertainment. What is worrisome is how closely it mirrors current political discourses in the real world. It echoes quite problematic official views and policies of Western governments, particularly the US and UK. Their discourse of “transforming the world” (for example, bringing democracy to the Middle East) centres upon eradicating their “enemies”. There is a continual refrain from these leaders that all can be solved by “getting rid” of the most threatening adversaries. From Saddam Hussein to Osama Bin Laden to the current bogeyman of Islamic State, Abu Bakr al-Baghdadi, complex socio-economic and political problems are reduced to a simplified narrative of killing the “bad guys”. It is not surprising then that while these discourses can inspire, they in no way provide long-term solutions. The film’s many scenes of popular unrest also mirror real-life scenes of people on the street directly confronting oppressive power. These movements are depicted by the media – and to an extent often are – similarly fixated on achieving justice through holding in check or ousting those with authority. The focus is on the tyranny of the Chinese Communist Party or the racism of the bad police officer. Whether on the movie screen, from the lips of those in power or in the shouts of those resisting this power, the path to social change appears almost identical. It is one where all that is needed is to destroy the tyrant and therefore end tyranny. This relationship with power is appealing, in part, exactly because of how it touches on our deepest childhood desires. In a complicated world we long for someone to blame, for quick fixes, for a personalised target to project our hopes and fears upon. It is only with maturity that individuals come to realise it is usually not a person that is solely, or even primarily, to blame. Instead, it is underlying system that drives their actions and therefore requires changing. And so it is also necessary to celebrate the possibility of not just destroying but also recreating society. This demands thought about how to do more than merely depose those in power – to also constructively change the structures that legitimate and rationalise their authority. This is the difference between an angry rebellion and a transformational revolution. The anti-authoritarian struggles in movies and on the news are certainly dramatic. There are few more thrilling stories than ones of defeating a repressive ruler to bring about justice. Yet this dramatic depiction of social change misses the real creativity at its heart – the ability to individually and collectively find innovative ways to create and recreate our society. In the contemporary age, youthful rebellion does not just dominate teenage entertainment – scarily, our grown-up political fantasies are also a sucker for it.